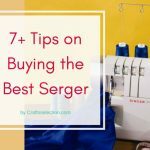 Why Not Settle for a Beginner Sewing Machine? 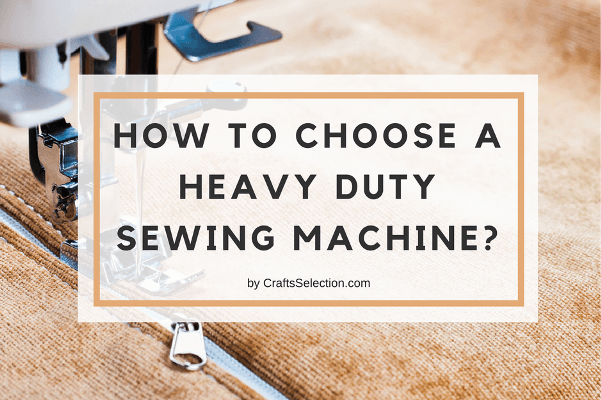 What is a Heavy-Duty Sewing Machine? 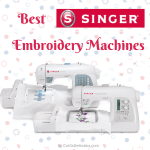 What Features to Look for in a Heavy-Duty Sewing Machine? Sewing is a fascinating form of art. For users like us who have mastered the art (or at least think so), it is no less than magic. As you move on from the basic and intermediary levels, and start exploring your artistic capabilities, you will require a machine that is more powerful than your entry-level first-love. You are looking at a machine that is made using cutting-edge technology, has advanced, mouth-watering features, and which is basically a workhorse that sews even through steel. While we are not sure about steel, we are positive that the best heavy-duty sewing machines can handle the most stubborn of fabrics. Using your entry-level model to work on heavier fabrics like denim, leather, upholstery material, etc. 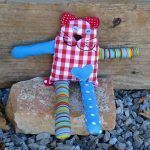 can be a difficult task not only for you but also for your poor sewing machine. 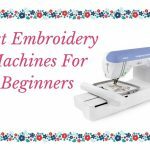 Generally speaking, a beginner sewing machine is made of plastic gears that are not tested to withstand high tension. They run on low-to-medium-powered motors that require less power, which means they are not designed to sew through harder materials or multiple layers. Entry-level models are cheaper and intended for elementary users who are just learning the art. However, it does not mean that such models are incapable of working on thicker fabrics. They sure can, but are susceptible to vibrations, or even worse, breakdowns if used on a regular basis. 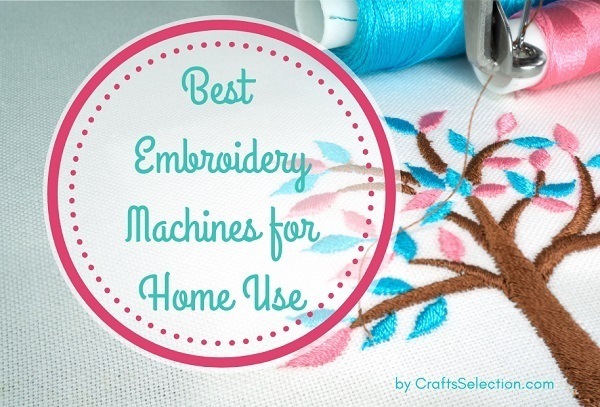 That is when the need to invest in a heavy-duty sewing machine arises. Stronger motors, resilient parts, new technology, and a plethora of features. A heavy-duty sewing machine is more than just these; it is designed specially to handle thicker materials on larger projects over long terms. 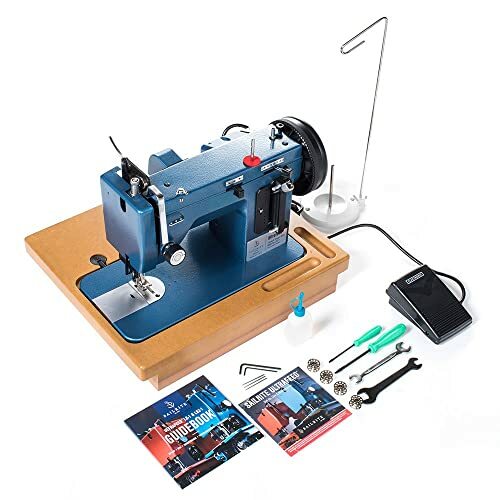 Everything from the needle plate to the base, from the motor winding to the type of the motor, the machine’s outer body material to the type of thread – everything in a heavy-duty sewing machine is designed in such a way that they can come together and help professionals carry out their projects at a faster pace and with less effort. Do you ever feel like you are overworking your existing sewing machine, especially when you are working on those denim pants? Maybe it overheats or you smell burned plastic? The time is about right to own a better machine. 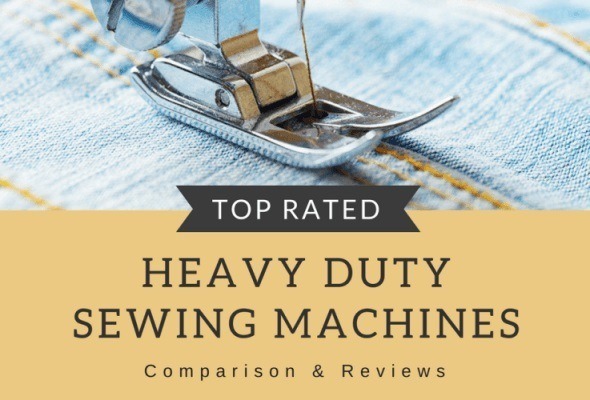 While you are shopping, it is important to check off a few important factors that are essential when it comes to heavy-duty sewing machines. A heavy, rigid machine by a reliable brand means the parts used are of the top quality that can handle larger projects without vibrating or tipping over. This is a factor that most users tend to underestimate. Your needs in 2018 are not going to be the same as they are now in 2017. The fashion industry undergoes rapid changes, and to come up with new designs, you must bank on your machine’s versatility. Heavy-duty sewing machines are ridiculously customizable. So, keep an eye on the complementary attachments like presser feet and buttonholes. Accessories like free arm, wooden base, and travel bag are also important. Tip – Think about your ideal sewing machine over a few days and write down these points on a piece of paper. Then, compare your points versus the points mentioned above. Finally, have a look at our table of comparison and make the purchase. 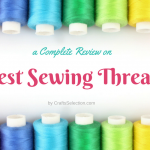 The ground rule when it comes to choosing the needle and thread is that you replace the needle on the first instance of thread breakage or a skipped stitch. As long as you follow this rule, you should be all right. Another wise tip is to use separate needles of each type of garment/fabric for maximum longevity and minimum breakage. Tip – Needle size is determined by the diameter of the blade and is generally denoted by whole numbers. Example 1: a needle size of 80 means 0.80mm; example 2: a needle size of 80/12 means 0.80mm only (the value 12 is the imperial size). The sharpness of the needles should also be taken into consideration. In case of doubts, always refer the manual or the manufacturer website for guidance. 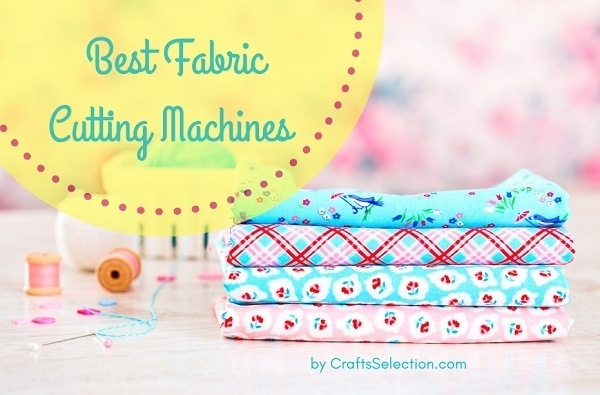 Like we have said before, sewing is an art, and it’s not just about the machine that you use. 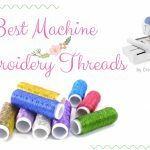 It is about how you look at it – needles and threads are as important as the power of the machine. See also: What is a Low Shank Sewing Machine? 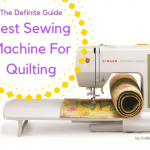 Overall, we think we have covered everything there is to know about heavy-duty sewing machines. 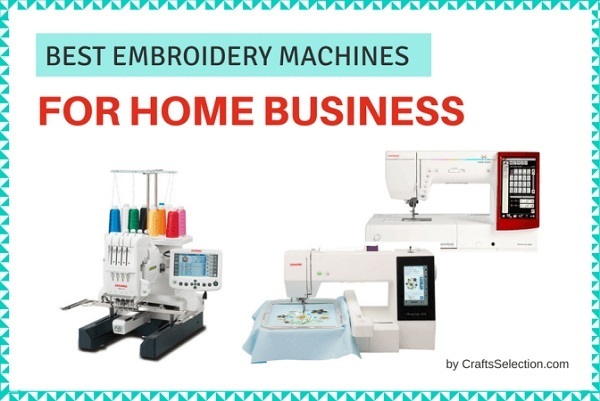 We know there is a lot of information here, but we believe that we have removed the noise and haze (from the online shopping scene) and made your hunt for the best sewing machines easier and convenient.